Today’s your chance to save a massive $150 on PNY’s 512GB Elite microSD card. It’s ideal for phones, tablets, cameras, drones and more. We’ve said it plenty of times before, but we’re going to make no apologies for saying it again: having many, many microSD cards dotted around your home or business is never a bad idea. You just never know when you’re going to need one, and if you generate a lot of data then you’re probably going to need a big one, too. The PNY 512MB microSD card is a great option in such a situation, and it’s available now for what might just be an all-time low price. Normally retailing for anything up to $350, this microSD card can be yours right now for just $199.99. That’s a huge sale on the normal asking price and is even $40 lower than the best price we know of, so if you’ve held off buying a huge capacity microSD card before, this is your time to rectify that. 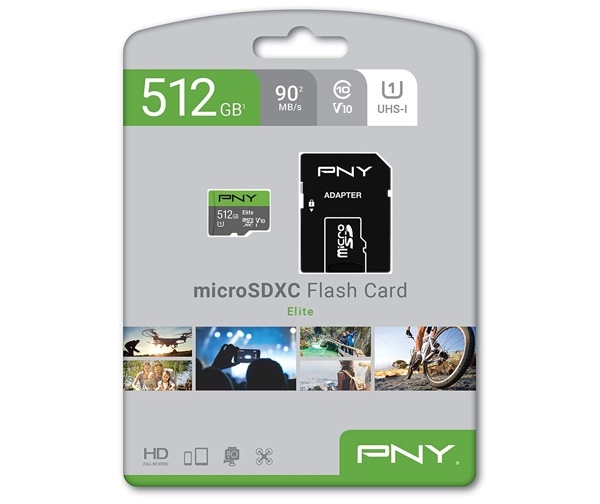 In the PNY 512GB microSD you’re getting a great card that can hold up to 80 hours of HD video or a massive 100,000 photos. That’s a lot of data to be moving around, so the 90MB/s transfer speeds will come in handy. So might the regular SD card adapter that ships in the pack, meaning you can plug your new microSD card into a computer for even easier data transfer. One of the most obvious uses for such a huge card is in a Nintendo Switch, so if you’re living that digital download lifestyle rather than living in the past with cartridges, this card could be the answer to your prayers.